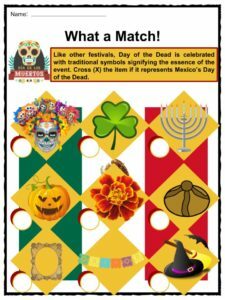 Dia de los Muertos, or Day of the Dead, is the biggest religious festival in Mexico celebrated on the evening of October 31 until November 2. Dia de los Muertos, or Day of the Dead, is the biggest religious festival in Mexico celebrated on the evening of October 31 until November 2. Mexicans celebrate the life of their deceased family member through festivities and not mourning. 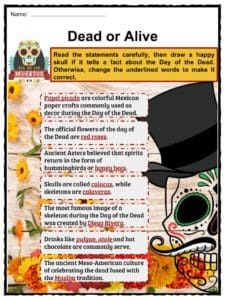 See the fact file below for more information on the Day of the Dead or alternatively, you can download our 24-page Day of the Dead worksheet pack to utilise within the classroom or home environment. 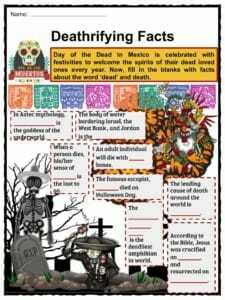 Historians believe that as far back as 3,000 years ago, the tradition of Day of the Dead started from a Meso-American festival honoring Mictecacihuatl, goddess of the underworld. They suggest that such a festival was traditionally held on the ninth month of the Aztec calendar, which more or less corresponds to August. Ancient Aztecs observed Miccailhuitomi and Miccailhuitl, or Feast of the Little Ones and Feast of the Adult Dead, separately. By the early 1500s, Spanish conquistadors headed by Hernando Cortéz discovered and conquered the Aztec Empire. Aside from taking over the land, Spaniards imposed Catholicism on the native population for both religious and political reasons. Christian holidays like All Saints’ Day (November 1) and All Souls’ Day (November 2) were introduced by Spanish missionaries. 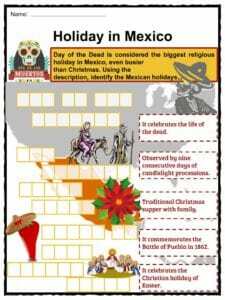 Since then, natives of modern-day Mexico incorporated their own traditions for honoring the dead into these days. Day of the Dead is Mexico’s most celebrated religious holiday. 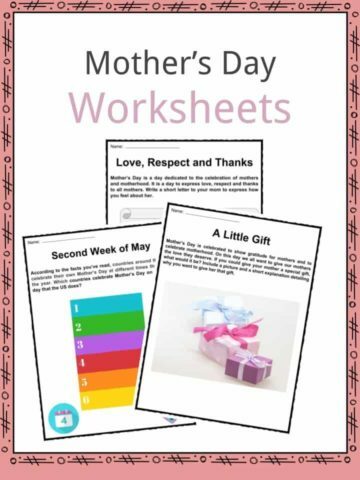 Families believe that it is a time for the soul of their departed loved ones to come home. They set up ofrendas, or altars, with offerings to welcome their dead. 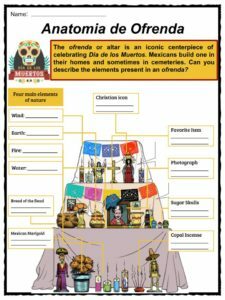 Ofrendas are typically composed of pictures of the deceased, their favorite food and things, candles, drinks, fruit and paper decorations. 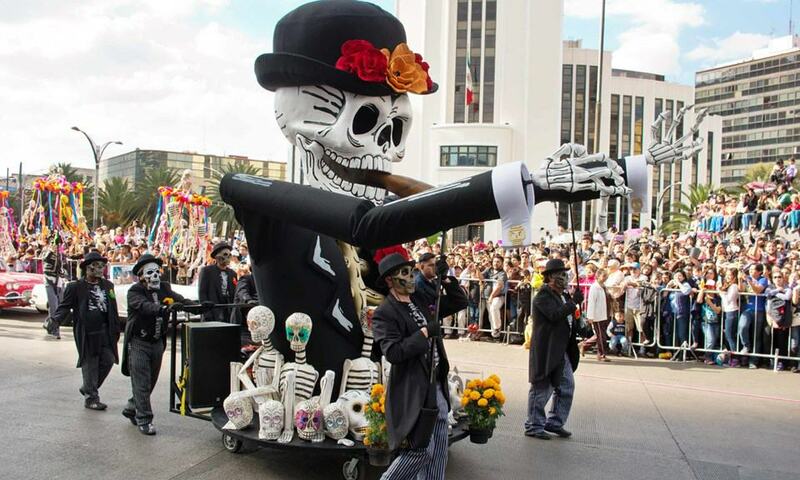 The Mexican celebration of Day of the Dead is actually bigger and busier than Christmas. 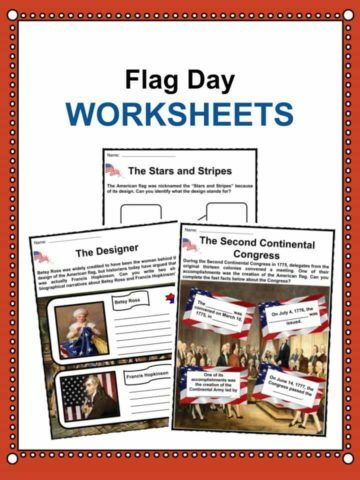 Moreover, families visit graveyards to clean and decorate the grave sites. Some even set up more ofrendas on the gravestones. In addition, altars are decorated with cempazuchitl, commonly known as flowers of the dead. These Mexican marigolds are sometimes used to represent the sun and rebirth. Mexicans believe that the souls of their loved ones will be offended if they come home and the family is in mourning. So, instead, the days are festive to celebrate the souls’ life when they were still alive. 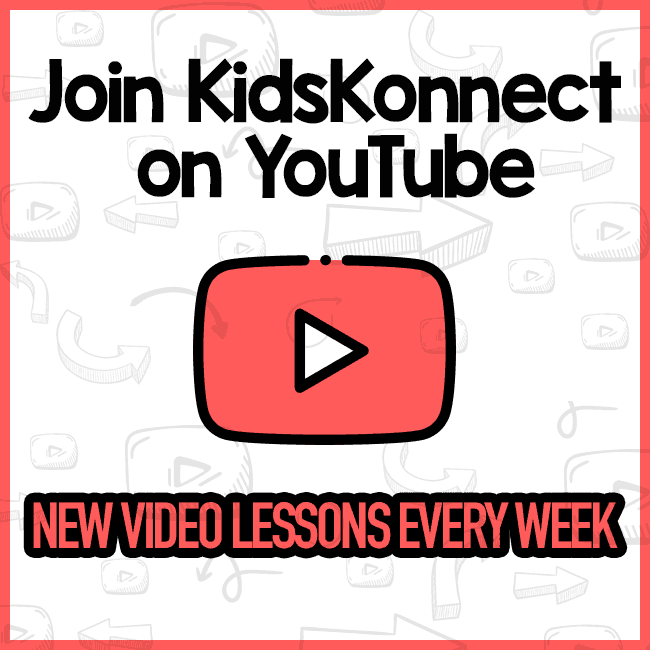 Some remember them by telling funny stories or singing their favorite songs. 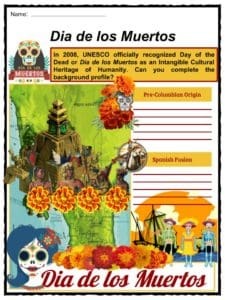 One of the main features of Day of the Dead decorations are skeletons, or calacas, and skulls, or calaveras. Cheerful skeleton designs can be seen everywhere from papers, toys, puppets and candies, to sculptures. 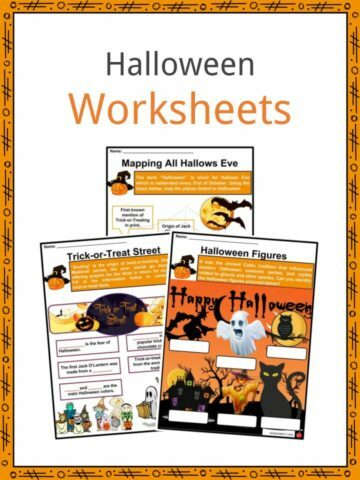 Unlike Halloween, skeletons are not represented in a scary and spooky style. Among the holiday treats is pan de muerto, which means bread of the dead. This sweet eggy delight is commonly baked with anise and orange peel. The dough is usually decorated to look like crossed bones. In addition, drinks like pulque, which is made from agave sap; atole, a warm porridge made of corn flour with cane sugar and vanilla; and hot chocolate are served. In other parts of Mexico, like in the Yucatan Peninsula, part of their local tradition includes exhuming the bones of their dead and washing them with their bare hands. 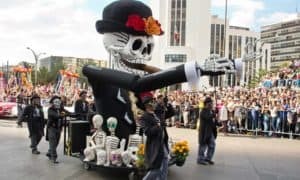 Aside from being a family-oriented holiday, Day of the Dead is a highly social event, which fills the streets with parades and people in skeleton costumes. Aztecs believed that spirits of the dead could return home in the form of hummingbirds or butterflies. In parts of Mexico, the arrival of millions of monarch butterflies migrating from Canada coincides with the week of Day of the Dead. In the 19th century, caravelas literarias, or literature skulls emerged. They were skeleton illustration of politicians and other famous figures, which kept their recognizable features. 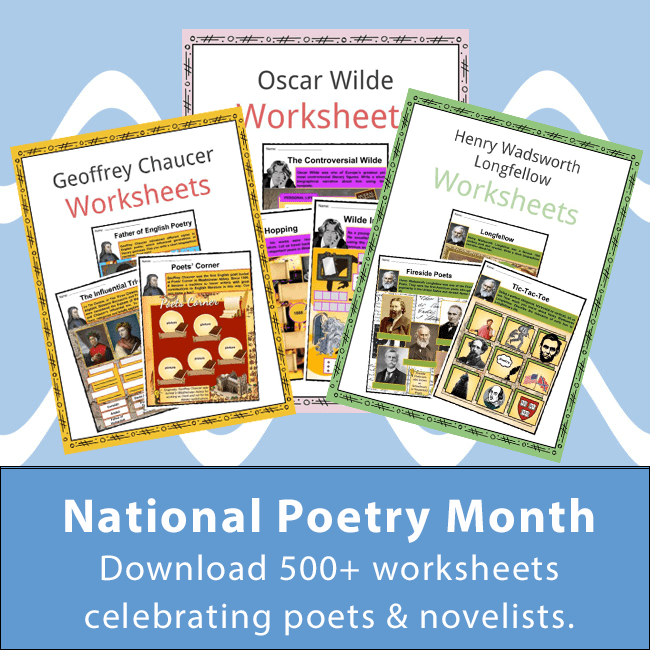 In addition, short epitaph-style poems were written. Through time, this pre-Columbian tradition of celebrating the life of the dead has crossed into the United States through poems, movies and radio broadcast. In 1910, Mexican political cartoonist Jose Guadalupe Posada created the most famous calavera, now known as La Calavera Catrina, or La Calavera Garbancera, as she was first called. Posada intended to present Mexican society’s emulation of European culture. By 1947, Mexican muralist Diego Rivera featured Posada’s La Calavera in his “Dream of a Sunday Afternoon at Alameda Park. In films, the Day of the Day concept was featured in Nightmare Before Christmas, Corpse Bride, and heavily in Coco. This is a fantastic bundle which includes everything you need to know about Day of the Dead across 24 in-depth pages. 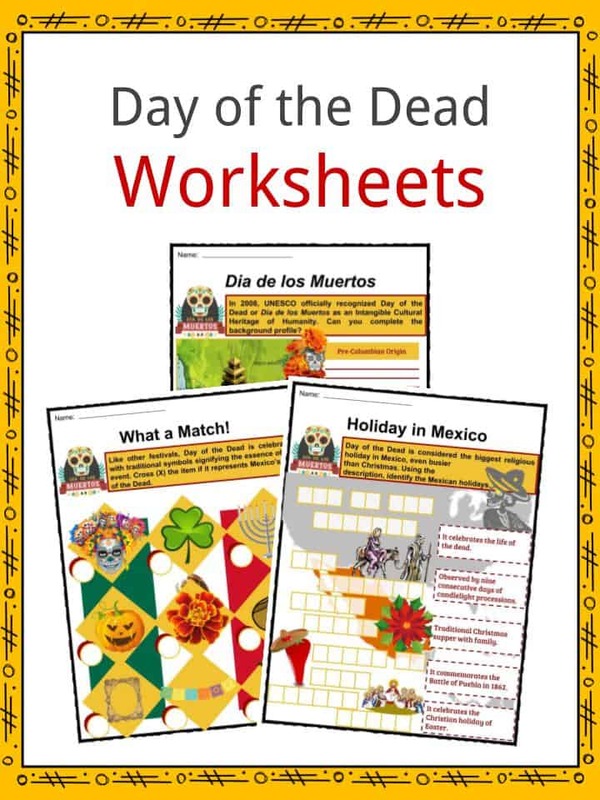 These are ready-to-use Day of the Dead worksheets that are perfect for teaching students about the Dia de los Muertos, or Day of the Dead, which is the biggest religious festival in Mexico celebrated on the evening of October 31 until November 2. Mexicans celebrate the life of their deceased family member through festivities and not mourning.